We offer factory parts with full warranty for both Hot Spring Spas and Caldera Spas. Just give us a call and we’ll give you a no-obligation quote – or be on our way. 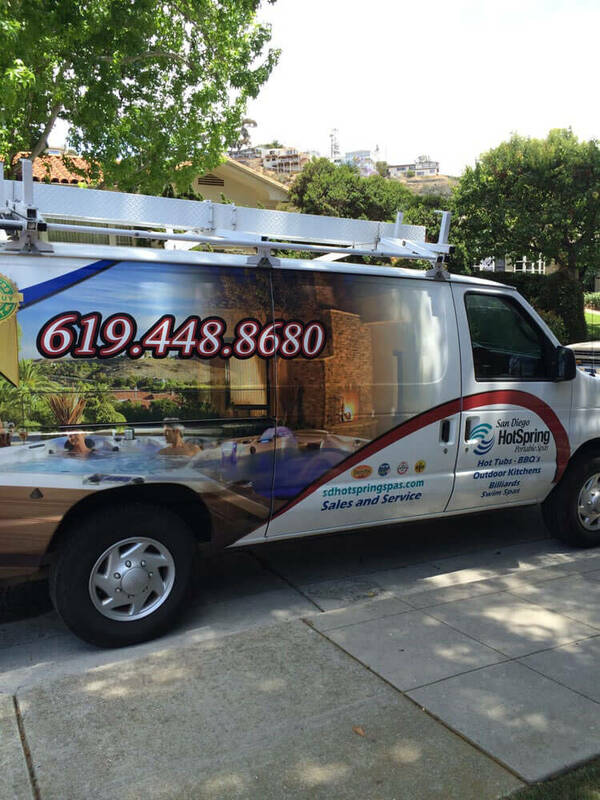 Knowledgeable and helpful, our staff will diagnose the problem and get your hot tub up and running again. Alpine, Bonita, Carlsbad, Carmel Mountain, Chula Vista, Clairemont Mesa, Coronado, Del Mar, El Cajon, Encinitas, Escondido, Imperial Beach, Kensington, La Jolla, La Mesa, Lakeside, Mira Mesa, Mission Valley, Morena, North Park, Ocean Beach, Oceanside, Pacific Beach, Point Loma, Poway, Ramona, Rancho Bernardo, Rancho Santa Fe, San Marcos, Santee, Solana Beach, and Vista.